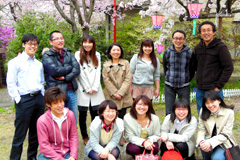 Group of Intracellular Dynamics | Division of Biological Science, Graduate School of Science, Nagoya University. Our research program has examined the cellular mechanisms of mitotic cell division, a critical process for cell proliferation and animal development, defects in which lead to various diseases such as cancer. Microtubules are nucleated at centrosomes, pre-existing microtubules and near chromosomes. The importance of these pathways has been shown recently in several cell types, yet it is largely unknown how they are achieved at a molecular level. Our genome-wide RNAi screen and extensive follow-up analyses identified an 8-subunit protein complex, ‘augmin’, that is required for centrosome-independent microtubule generation within the mitotic spindle (Goshima et al., 2007, 2008; Uehara et al., 2009). 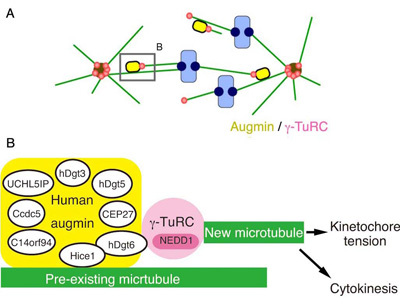 We anticipate that comprehensive analysis of this protein complex will help to build a global molecular picture of microtubule generation pathways within mitotic and meiotic spindles (Fig. 1). 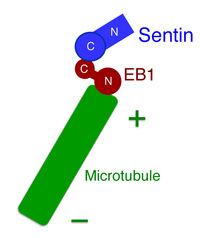 We identified a novel protein “Sentin” that is localised at the growing end of microtubules via binding to EB1 protein (Fig. 2). Sentin depletion in Drosophila S2 cells, similar to EB1 depletion, resulted in the increase in microtubule pausing and led to the formation of shorter spindles, without displacing EB1 from growing microtubules. EB1 thus promotes dynamic microtubule behaviour by recruiting the cargo protein Sentin to the microtubule tip (Li et al. 2011, 2012). We wish to understand the molecular mechanism underlying regulation of microtubule plus ends by Sentin. We are interested in molecular basis of intracellular dynamics of plant cells. Is it similar or different to animals? 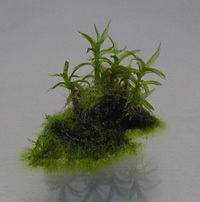 We have introduced the moss Physcomitrella patens as a model land plant system (Fig. 3 ; ref. Nakaoka/Miki et al. 2012). 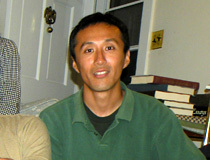 Nakaoka et al. Plant Cell. 2012; 24(4): 1478-93. Goshima. PLoS One. 2011; 6: e28120. Li et al. J Cell Biol. 2011; 193: 973-83. Uehara and Goshima. J Cell Biol. 2010; 191: 259-267. Uehara et al. Proc Natl Acad Sci USA. 2009; 106(17): 6998-7003.